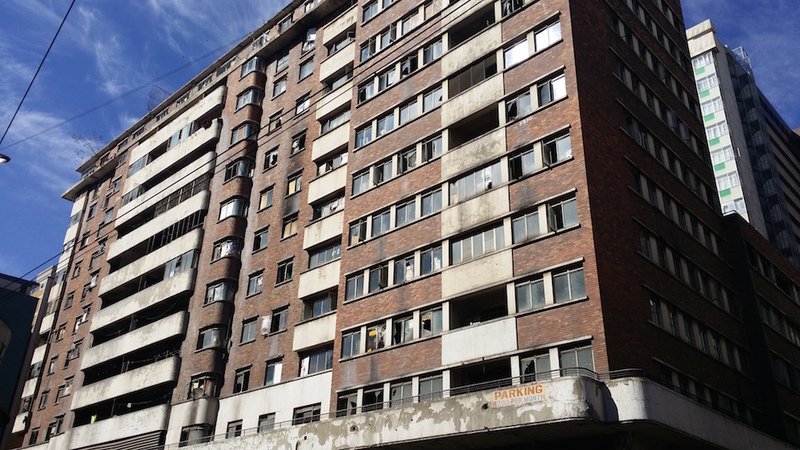 Former residents of Fattis Mansion, a dilapidated block of flats in the Johannesburg CBD have told the Daily Vox that they are upset about the way the City and media have cast them as “illegal foreigners” who had “hijacked” the building. 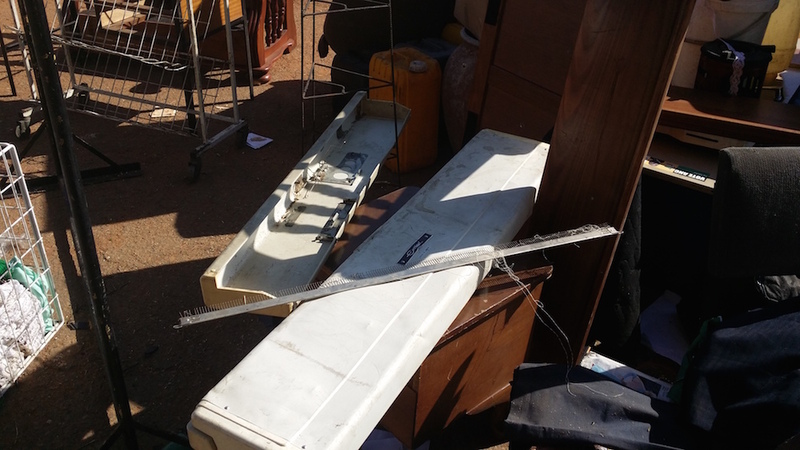 A “hijacked building” is commonly understood as property that has been taken over by criminals from absent owners or rent collectors. These buildings, usually dilapidated, are occupied by people who then pay rent to criminals collecting money illegally. But Fattis Mansion residents say they are South African and that they were legal inhabitants of the building. 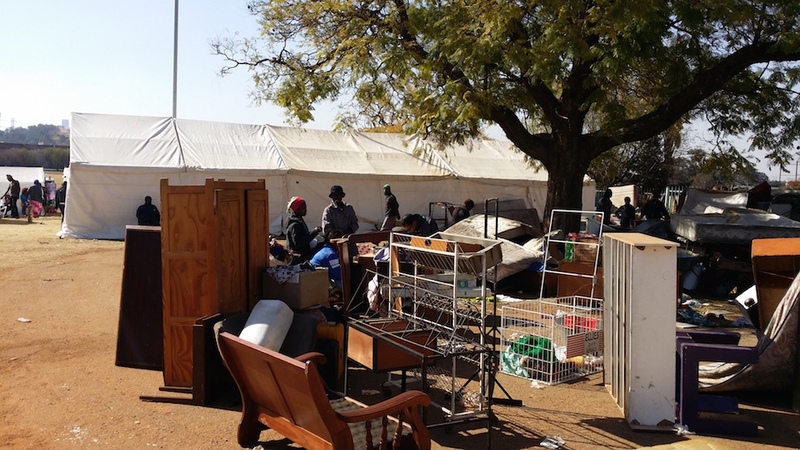 Residents were evicted last week and relocated to Wembley Stadium in Johannesburg South on Thursday morning, after spending the night on the street outside the building. They complained that many of their smaller belongings, such as clothing and appliances, were dumped as trash. Furniture and larger items were dropped off at Wembley Stadium by a Pikitup truck. Residents said City workers treated their belongings without regard and caused serious damage. “Everything is broken. Even my knitting machines for work. They just dumped everything here with trucks,” an elderly resident told The Daily Vox. The City could not be reached by the time of publication. Khululiwe Bhengu, a candidate attorney from the Socio-Economic Rights Institute (Seri), said Fattis Mansion was not a case of a hijacked building. “The people who were evicted comprised of many owners and tenants who were leasing from actual owners. We’re still compiling the details we collected from residents on Saturday, but the data will be available tomorrow,” she said. Fattis residents they had pressured “foreigners” out of the building in December last year, as they believed them to be responsible for the criminal activity - specifically gangsterism, murder and drug trafficking. Residents said that since then, the crime in Fattis was no longer a problem. Some of the people who were made to leave ended up at the nearby Cape York building, which caught alight in the CBD earlier this month. Cape York residents have also been relocated to Wembley Stadium. Fattis Mansions residents told The Daily Vox there are now tensions between them and former residents of Cape York - a building that caught alight in the CBD earlier this month. The City has until Thursday to file a report on the alternative accommodation for Fattis residents. 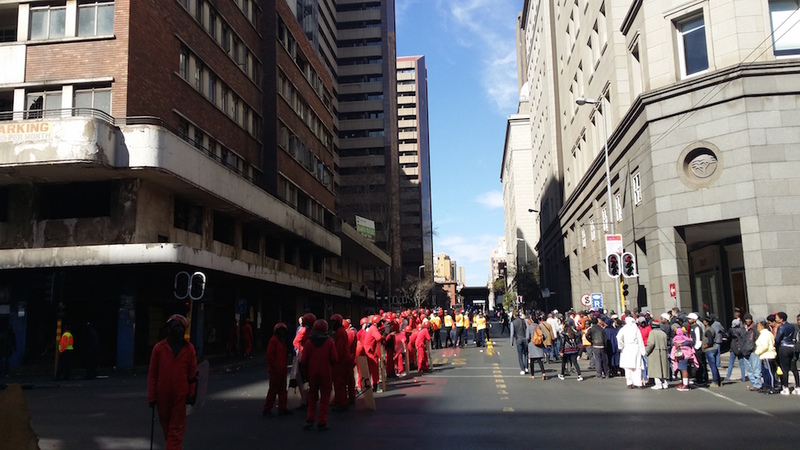 Residents are being represented in court by Seri who were on the scene on Saturday. Seri are applying for the eviction order to be rescinded. Jameel is a radical tea drinker and postgraduate student in African Studies. He’s interested issues of justice, change and decoloniality; and aligns with black consciousness, pan-Africanism and libertarian socialism.